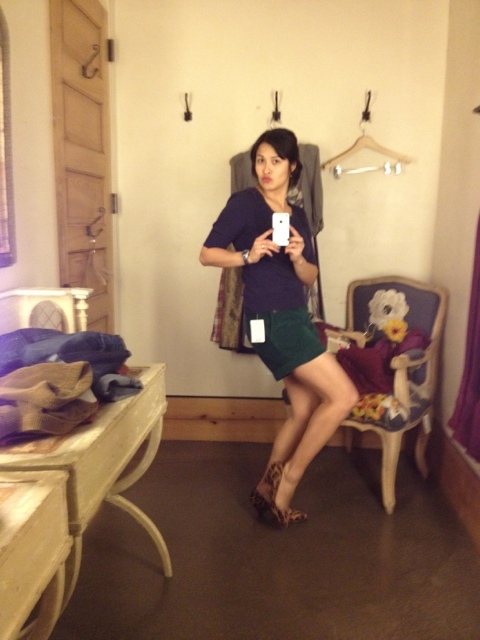 This is how I shop. Close up of these brilliant pants. Doesn’t everyone shop this way? One of these outfits may be coming to a dinner near you! 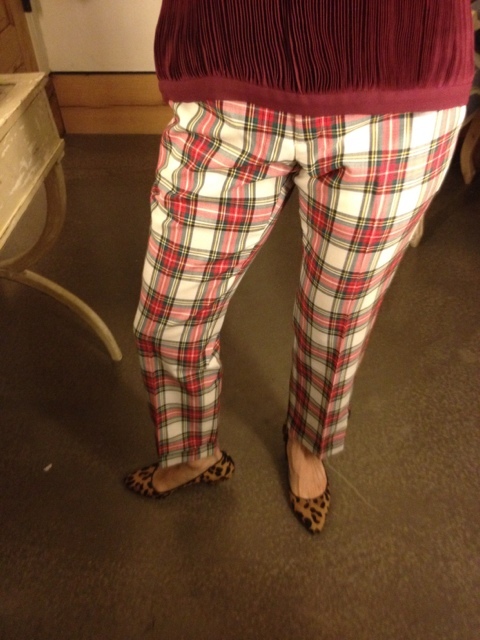 I’m loving the plaid pants with the leopard flats!! Super cute! So cute! 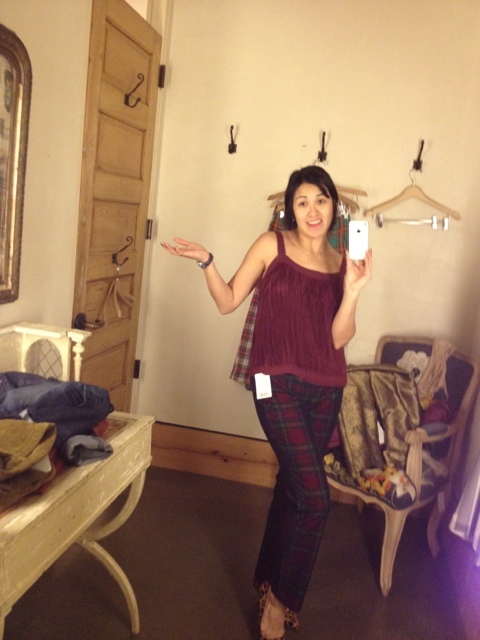 I’m notorious for taking pics of myself in clothes before buying them! I thought I was “alone” in this habit… apparently not! I also sometimes take pics of myself after getting ready to go out… I tweak until the pics look good (my hubby hates this). Love the outfits… super cute!